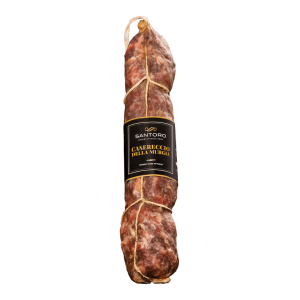 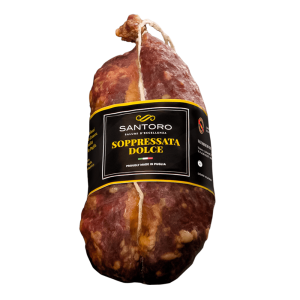 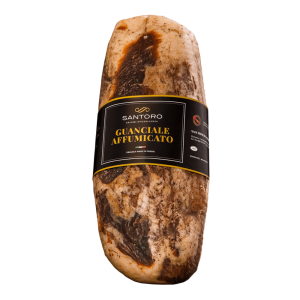 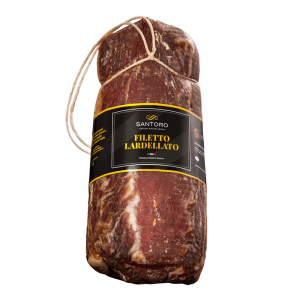 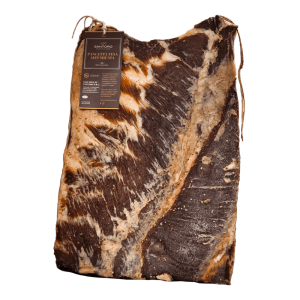 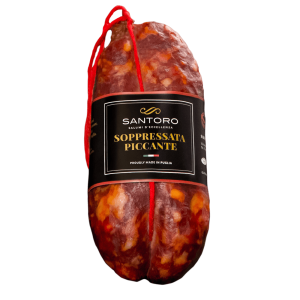 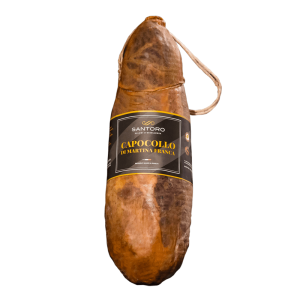 Handmade cured meats, 100% made in Puglia, yours in just a few clicks. 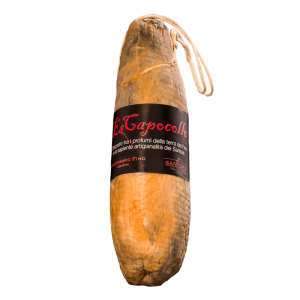 The earth was created in 7 days, this capocollo in two hundred. 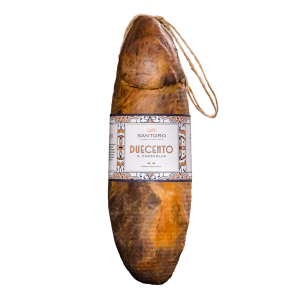 A product in which the skill of the craftsman meets the silent work of time. 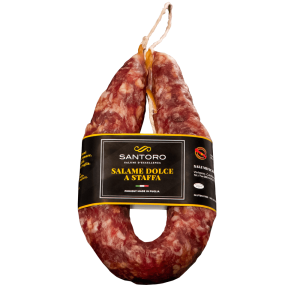 The wait is characterized by the selection of pigs grown in the wild up to a weight of 200 kg, at the time necessary for its refinement after processing according to the Santoro recipe, 200 days. 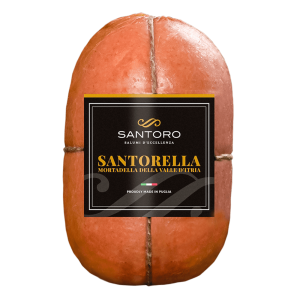 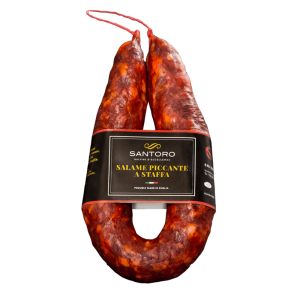 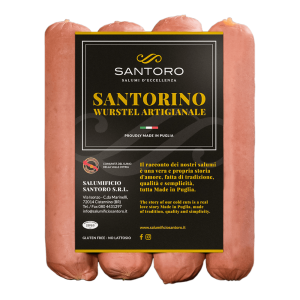 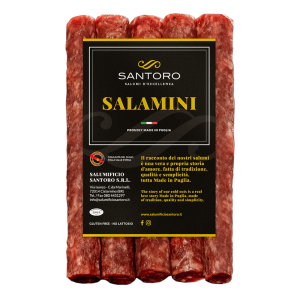 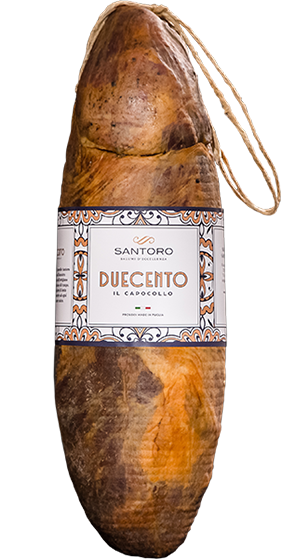 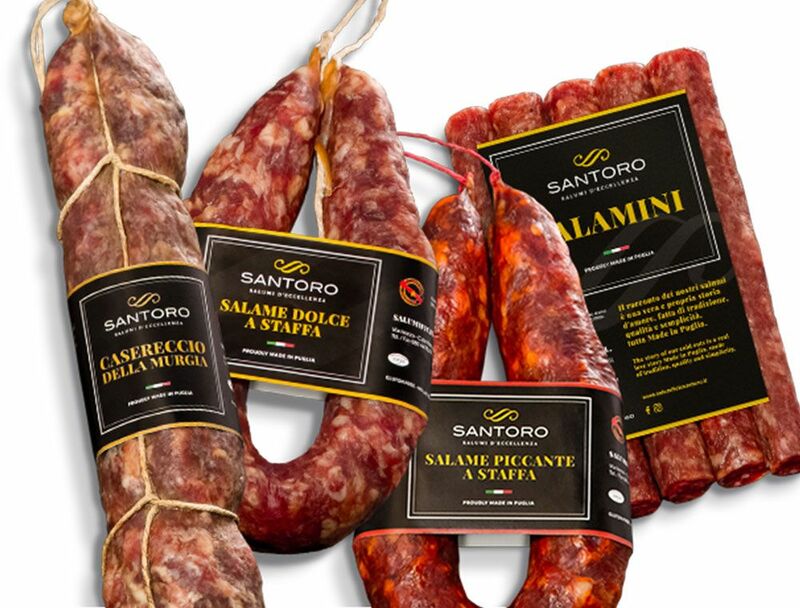 The story of our history goes through our salami, the eulogy of simplicity and the most traditional butchery, which goes through the secrets of a family and the most genuine and decisive flavors.